The year is 1892 and four gold diggers (two of which were brothers) had the fortune to ran into a high-quality gold ore amid all that basalt, dacite and granite. Once other prospectors learned what Collin Hakes, Orin and Orlando Merrill and Riley Morse managed to find, they were quick to come to seek their share of the high-grade gold. It wasn’t long before this area was swarming with people, all dreaming of rivers running with this precious metal. 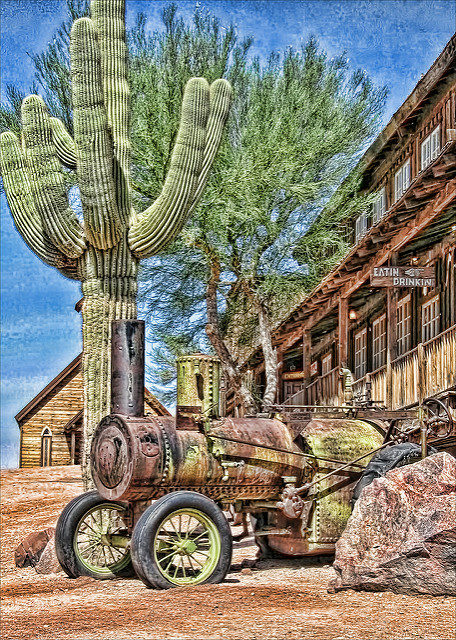 A new town was born just one year later in 1893, situated on the famous Apache Trail, bearing the name of Goldfield. 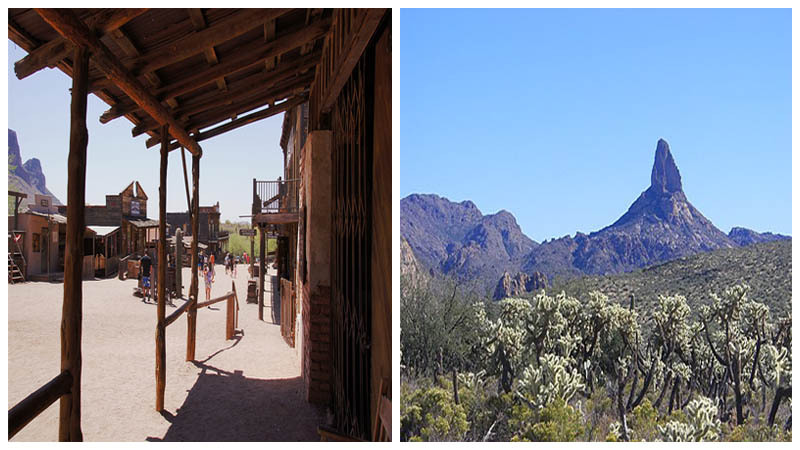 Geographically, it stood on top of a hill, flanked by mountains on each side, the Goldfield Mountains and the Superstition Mountains. 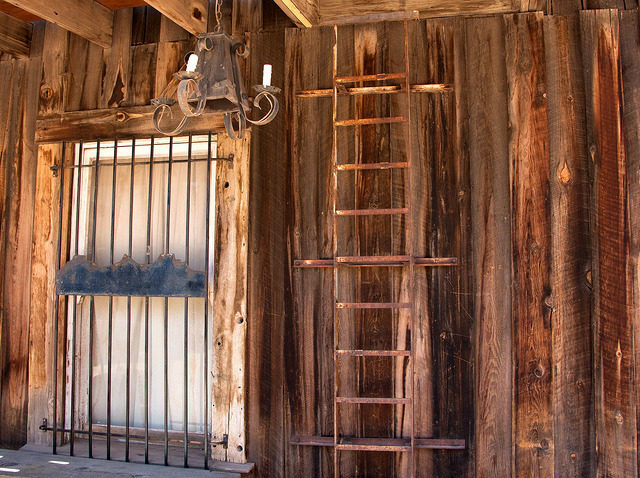 It wasn’t just the quality of the gold that attracted all those miners, gold diggers and gunslingers to Goldfield. A legend of a long lost mine played a major part too. Once the rumours started circulating that the “Lost Dutchman’s Gold Mine” is no longer lost people came in the thousands. 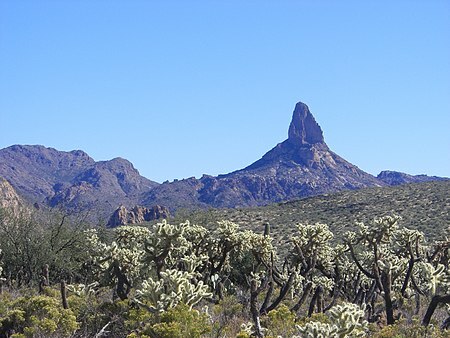 The legend has it that a rich mine was hidden on purpose fairly close to the Apache Junction and the Superstition Mountains. A great many came to this part of the world in search of the mine. A great many have died trying to find what Jacob Waltz once discovered or at least the legend has it that he did. Not long after the first post office was opened in 1893, the population of the Goldfield reach 1500. 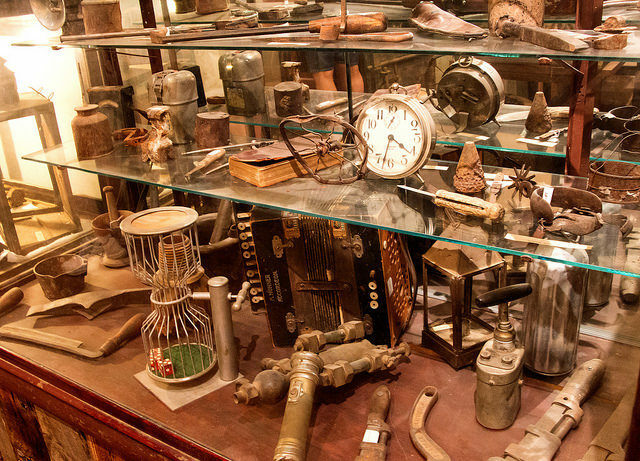 A general store was opened as well as a blacksmith shop, a brewery, and a boarding house. Goldfield also had a school for the youngsters of the day. 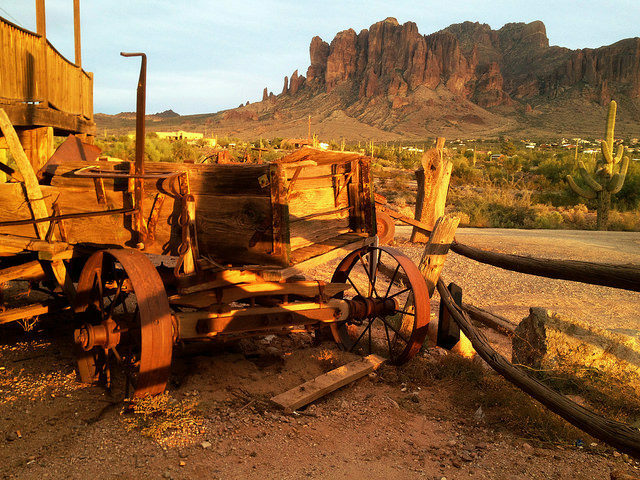 It felt as if Goldfield would never die. The gold was perfect in quality and ran in abundance. But that was far from the truth. Just five years after the town was started, the vain began to produce horrific gold nuggets. The miners and the gold diggers found this to be unacceptable and decided it was not worth the investment of both money and time. Closer view of a storefront. One by one started to leave Goldfield. By 1898, the town was almost empty. It was officially dubbed a ghost town on November 2 that same year when the post office was shut down. Of course, there were those that refused to leave. It was the saga of the German immigrant that kept them around. But with time, those few that remain behind left. And Goldfield was left alone in its own sorrow and silence. A number of items that were left behind. By 1910, the closed mine was reopened. It was the technology that the 20th century brought with it that made the mine productive once more. And in no time, Goldfield was again among the living. Ten years later, the town was renamed and this time “Youngsberg” was its name. But history tends to repeat itself, and once more the mine started to die out. 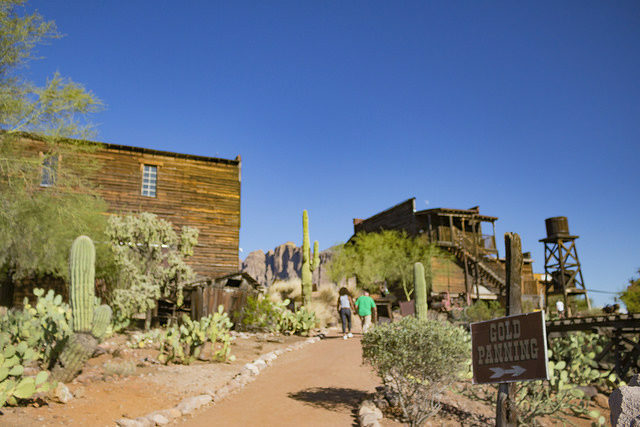 Just 20 years into the 20th-century and Goldfield was a ghost town once again after $170,000 in gold were extracted from the reopened mine. A fire that happened in 1942 destroyed forever both the gambling house and the dance hall. But a stubborn town Goldfield is, for it was once more brought back from the dead in 1984. 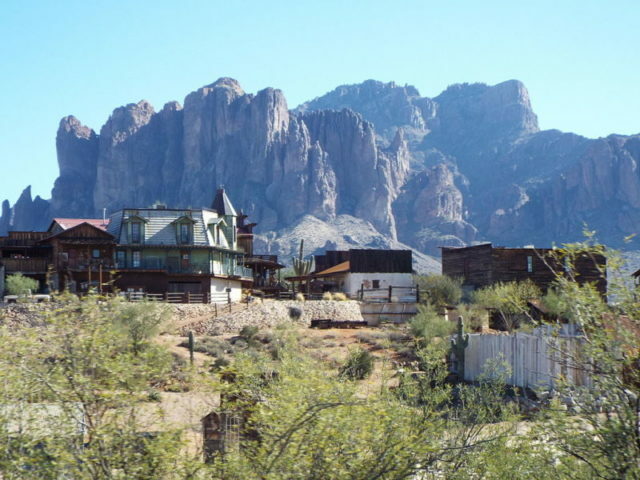 From that point on, the town started to attract tourists that came to hear about the beginnings of Goldfield and to enjoy in the legend of the Lost Dutchman’s Gold Mine that involves the Apache Indians, a sacred place filled with gold and a murderous plot to keep it that way. A bar and a new general store were opened as well as a photo shop. 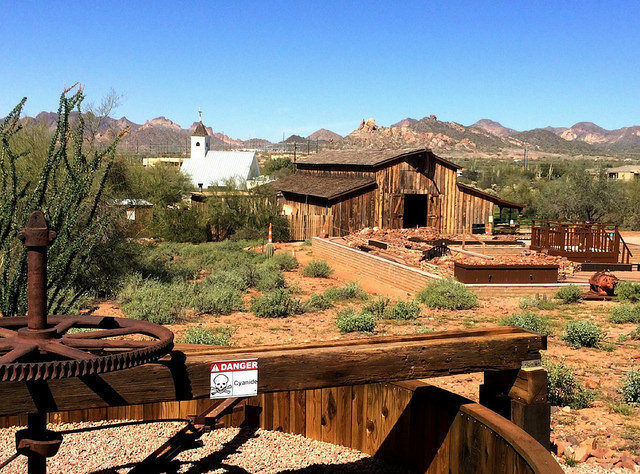 To this very day, the ghost town of Goldfield is very much alive, attracting thousands of tourists each year. 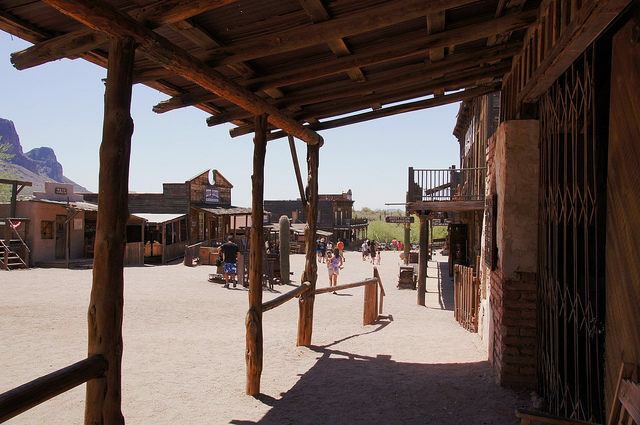 The hot Arizona sun is no barrier and during weekends the number of people visiting is so large that one gets the impression that Goldfield never died, despite being killed twice.